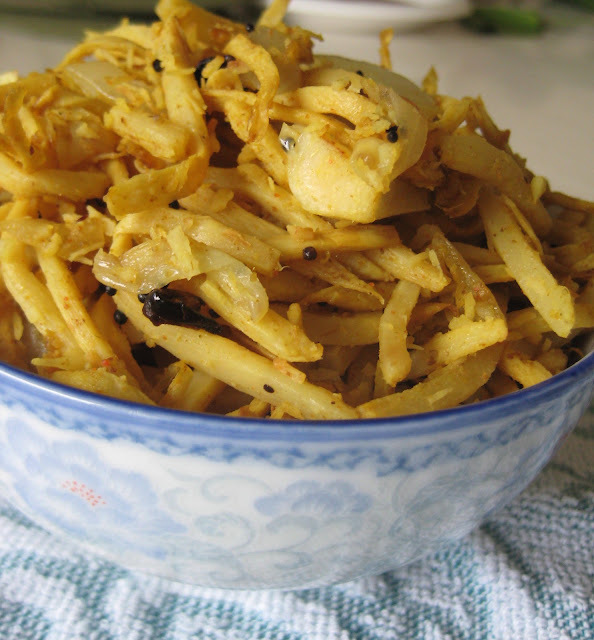 Here is a very delicious Bamboo shoot recipe for all Bamboo shoot lovers. Its a quite time taking dish, but tastes awesome. 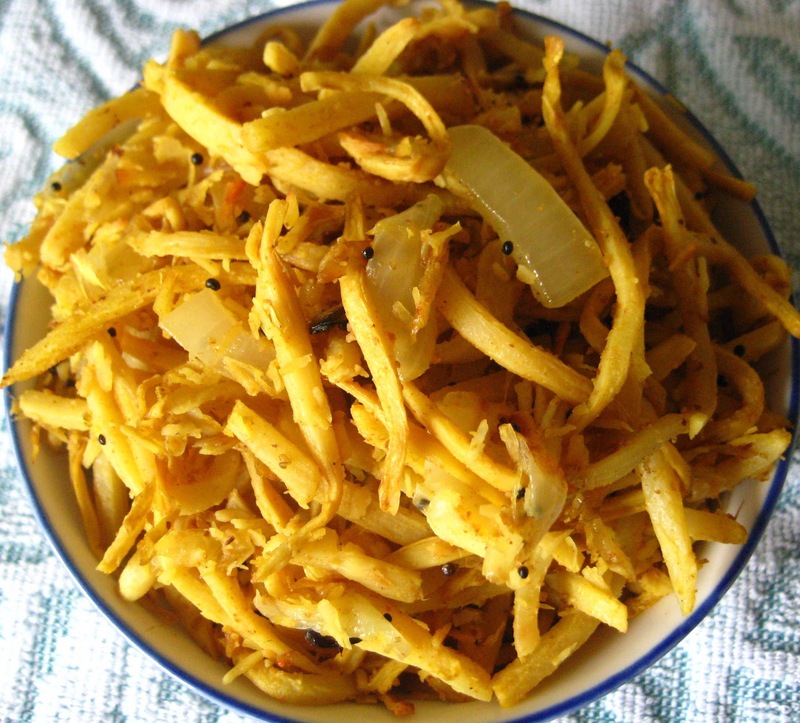 Try it out.Have fun..
Cook Bamboo shoot in a large pan with around 2 litrs of water for 10-15 min.Then drain the water and keep it aside..
Heat Oil in a pan, add the Mustard seeds, Curry leaves, Hing and Turmeric powder. Saute for about 30 sec. Now add cooked Bamboo shoot and salt to taste.Saute about 15 min on a medium heat. Now add Coriander and Cumin powder, red Chili powder, sliced Onion and grated Coconut.Saute for another 10 min. ( Bamboo shoot should be well dried as you can see in the pic). 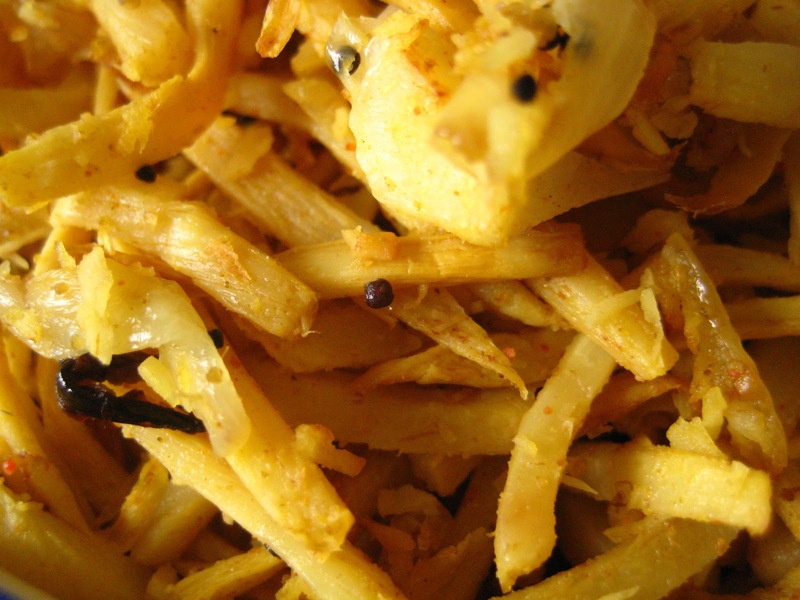 Serve hot with Chapati or Rice and Rasam.